FITUR GAY (LGBT+) is adding the “+” sign to the international acronym, in reference to the addition of new and socially-accredited orientations. This section is one of the most consolidated and widely represented sections at the Trade Fair, by number of square meters, participating companies and extensive programs for discussions and activities. 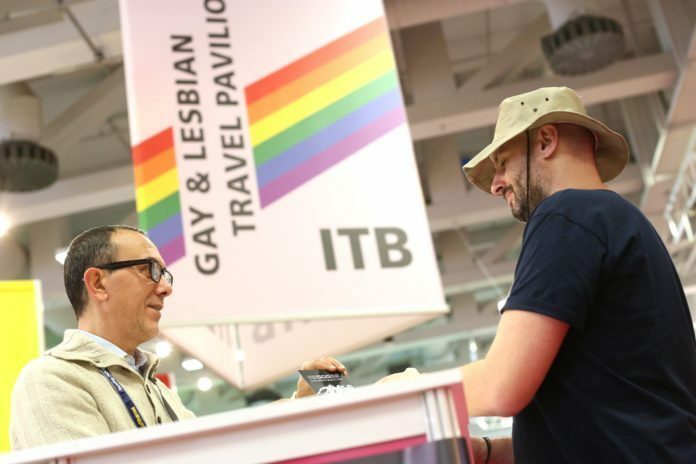 The International Tourism Fair, FITUR 2019, will once again host FITUR GAY (LGBT+), which for the first time will see the participation by the City of New York, Portugal and Thailand. This year, under the motto “50th Anniversary of Stone Wall New York,” the area dedicated to LGBT tourism, organized in collaboration with the brand LGBT Diversity Consulting International, will present the most important destinations, news and products for this tourism segment, from the 23 to 27 January 2019 at Feria de Madrid. Among the participating companies, the city of New York, which will host World Pride 2019 and the 36th IGLTA Annual Global Convention, will have its own stand for the first time in the FITUR GAY (LGBT+) area. Additionally, the CEO and Chairman of New York City and Company, Fred Dixon, will be at this area of the Fair on the 23 January. Also for the first time, the following will be present at FITUR GAY (LGBT+): Thailand, with two stands and an extensive offering; Portugal, with its brand ‘Proud Portugal’ and, from national territory, the Basque Country (Euskadi). Once again, FITUR GAY (LGBT+) will be growing in additions and space, and it will have over 60 speakers in the various round tables, discussions and presentations to be held during the FITUR professional days. Over the weekend FITUR will offer an ample entertainment program, with productions of Musicals from the Gran Vía, disc jockeys, singers and shows from around Spain and the world. There will also be several live daily programs broadcast from the studio located inside the FITUR GAY (LGBT+) area for several radio stations, among which are Radio International and Onda Orgullo, and there will be two official television stations: “GAYLES TV” offering interviews and features, and “ENLACE GAY” that will stream everything happening at the Trade Fair daily.